Cave Conservation – The most important thing you will ever do! How can I locate caves in Utah? Some people would argue that bats are anything but cute. But that is simply because they have never met a bat. Some bats are very adorable. A study in 2016 analyzed a strange and cute mannerism observed in many bats: head waggling. 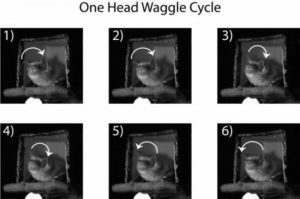 A waggle is when the bat turns its head side to side while looking at something. Read about the study in all its detail over at PLOS Biology.